Super Smash Bros Ultimate Piranha Plant is from the Mario Series and ranks as a C Tier Pick (Average). This How To Play Piranha Plant Guide details the Best Spirits to use and highest Stats. This DLC character is in the Medium Weight Class and has a Super Slow Run Speed, Average Air Speed, Average Dash Speed. You unlock Piranha Plant by purchasing DLC in the Shop. Free DLC Character for players who have purchased the digital version of the game before January 31th. The retail version will require players to link their Nintendo switch account with nintendo.com. If you did not buy the game before January 31th, you will be able to purchase the DLC Fighter as a stand-alone at a later date. Expected Release Date is February 2019. You can Unlock Piranha Plant from playing VS. Matches, Classic Mode and World of Light Game Modes In Super Smash Bros Ultimate. You can learn more about the fastest way to unlock Piranha Plant HERE. These are the Best Primary and Support Spirits to use with Piranha Plant based on their Moves and playstyle. You can learn more about Spirits HERE. The Best Character Matchups for Piranha Plant, these are Counter Picks Piranha Plant is Weak Against. Here you can view all the Neutral, Dash, Defensive, Tilt, Smash, Grab, Aerial and Special Move Attacks. Petey Piranha Petey will arise from the background and start jumping up and down with cages on both hands. 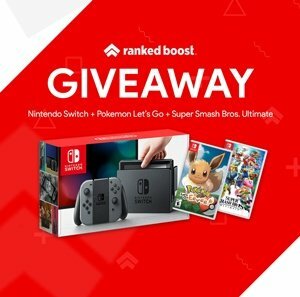 RankedBoost may receive a commission from Amazon purchases. You can learn more about Leveing Up your Amiibos HERE. Images of all Alternate Costumes. The Best Characters To Play Ranked in Super Smash Bros Ultimate. How Spirits Work and the types of powerups you can equip. How To Unlock Characters in VS, Classic and World of Light Game Mode.